Initial word of Ps. cxviii. 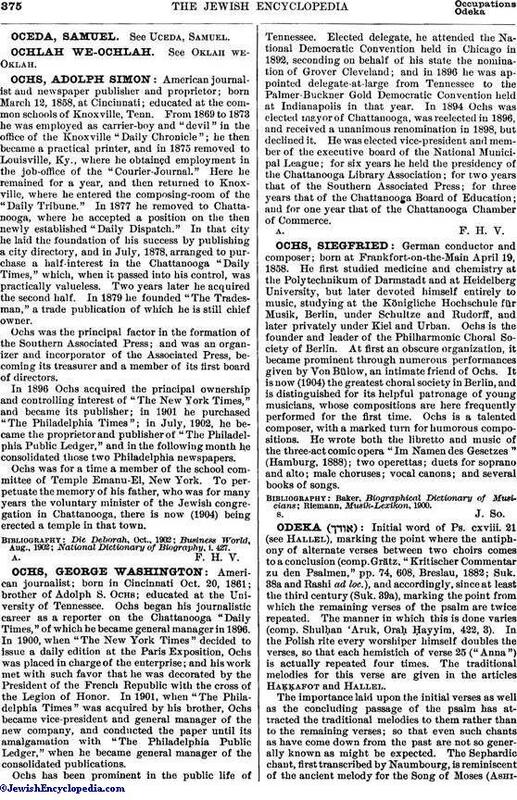 21 (See Hallel), marking the point where the antiphony of alternate verses between two choirs comes to a conclusion (comp. Grätz, "Kritischer Commentar zu den Psalmen," pp. 74, 608, Breslau, 1882; Suk. 38a and Rashi ad loc. ), and accordingly, since at least the third century (Suk. 39a), marking the point from which the remaining verses of the psalm are twice repeated. The manner in which this is done varies (comp. Shulḥan 'Aruk, Oraḥ. Ḥayyim, 422, 3). In the Polish rite every worshiper himself doubles the verses, so that each hemistich of verse 25 ("Anna") is actually repeated four times. 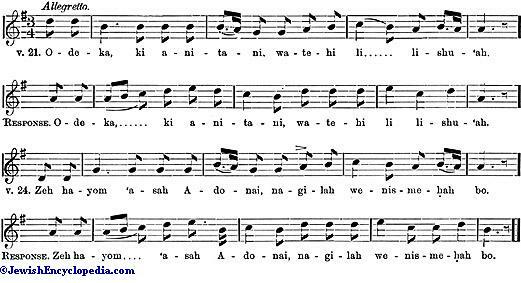 The traditional melodies for this verse are given in the articles Haḳḳafot and Hallel. 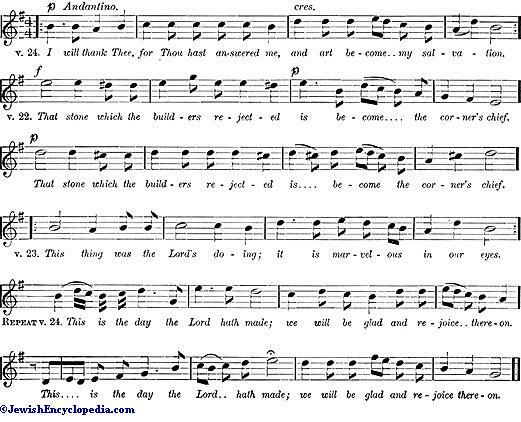 The importance laid upon the initial verses as well as the concluding passage of the psalm has attracted the traditional melodies to them rather than to the remaining verses; so that even such chants as have come down from the past are not so generally known as might be expected. 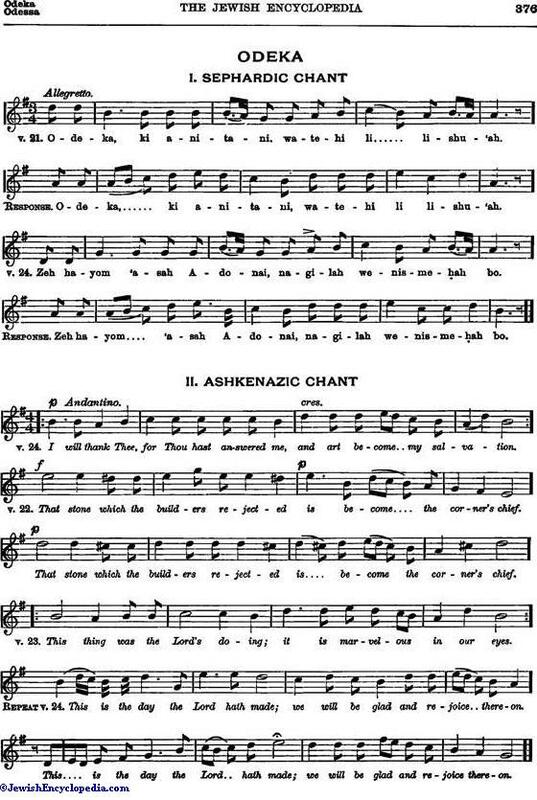 The Sephardic chant, first transcribed by Naumbourg, is reminiscent of the ancient melody for the Song of Moses (Ashirah), and its employment may be similar to the frequent use, noticeable among the Spanish and Portuguese Jews, of the better-known traditional airs for other passages than their original texts. 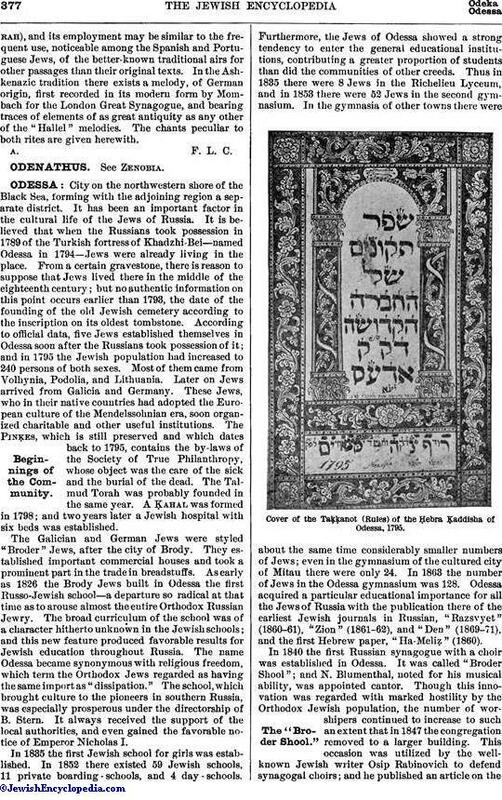 In the Ashkenazic tradition there exists a melody, of German origin, first recorded in its modern form by Mombach for the London Great Synagogue, and bearing traces of elements of as great antiquity as any other of the "Hallel" melodies. The chants peculiar to both rites are given herewith.